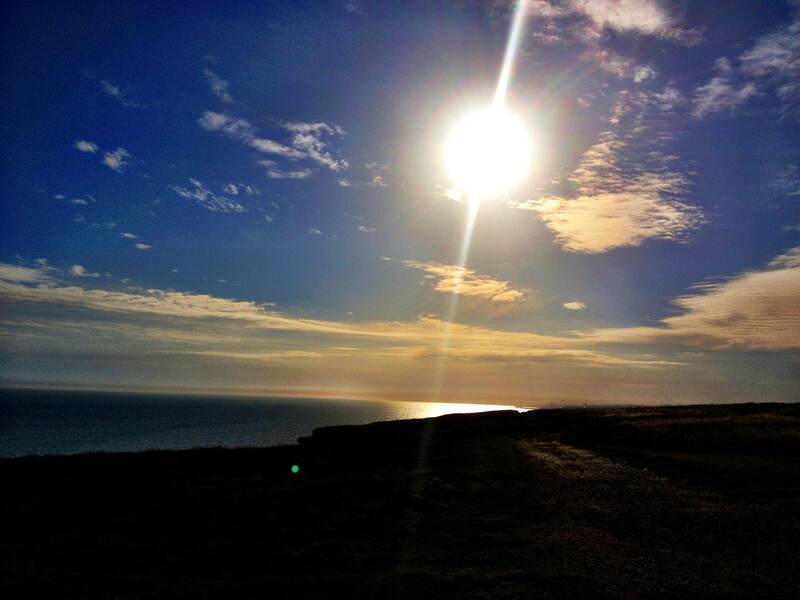 A quick look at the location photos, taken yesterday, and I know it’s the perfect setting for the scripts most dramatic scenes. After doing a bit of research on Birling Gap, I realised as well the history of the place and the transient nature of the ever inching in coastline fits perfectly with the mood and themes of Siren. 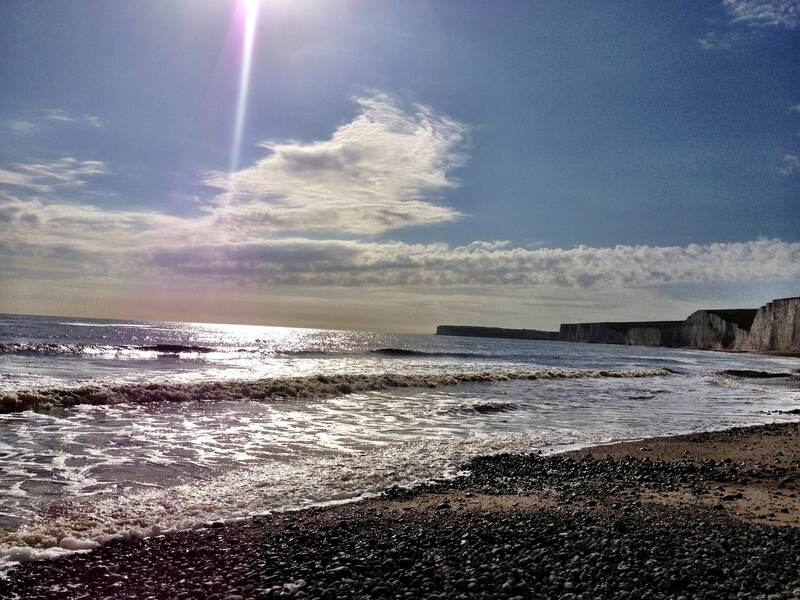 Birling Gap is situated on the Seven Sisters not far from Beachy Head and is owned by the National Trust. Coastal erosion has already removed some of the row of coastguard cottages built in 1878, and those that remain are still inhabited. It is likely that soon it will no longer exist because the amount of erosion is so large that all the houses will have to be demolished before they fall into the sea, and because the houses are not worth enough, the Government will not place a sea defence in the way. 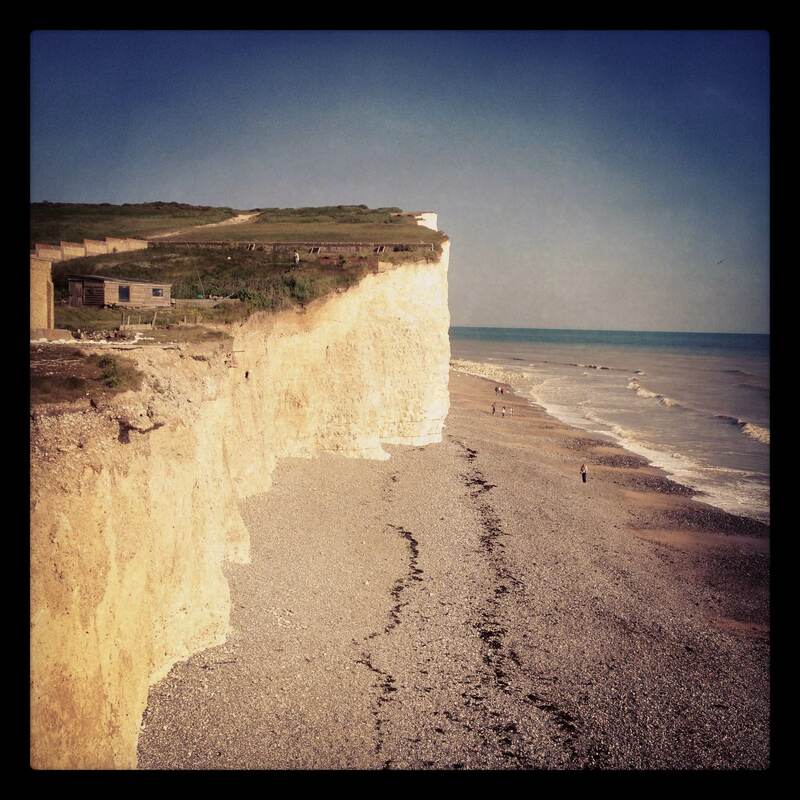 If walkers are cut off at high tide, they can climb the ladder, which is replaced often, to Birling Gap. It’s great how things work out like that. I myself have never lived by the coast but growing up in a small town in the Derbyshire peaks, often had family summer holidays in places like Skegness, Scarborough and Blackpool.